KATHLEEN J. "KATIE" ENGLEBRETSON, age 89, of Loyal, passed away on Friday, February 9, 2018 at Three Oaks Health Services in Marshfield. Funeral services will be held at 11am on Saturday, February 17, 2018 at St. Anthony Catholic Church in Loyal. Rev. Steve Brice will officiate and burial will follow in the parish cemetery. Visitation will be held at the church, on Saturday, from 10am until time of service. 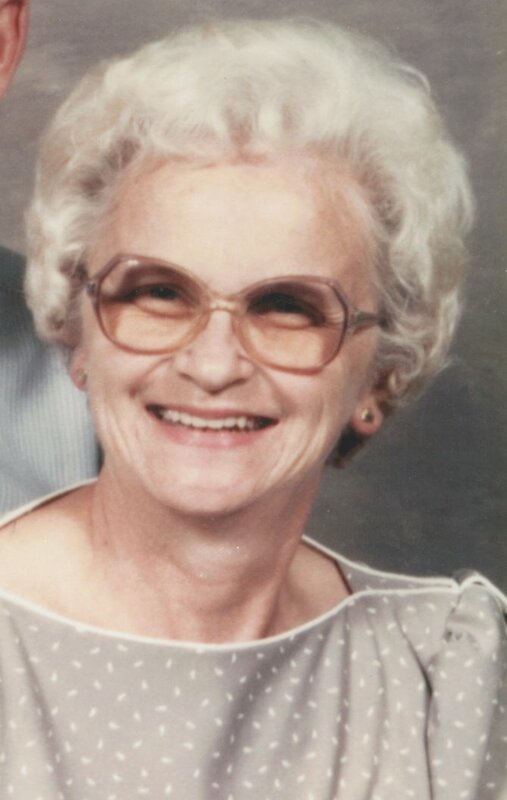 Kathleen Jane Tucker was born on July 19, 1928 in Loyal, WI, to Harold G. and Loretta E. (Ratelle) Tucker. She was raised and received her education in Loyal, graduating from Loyal High School in 1946. Katie was united in marriage at St. Anthony Catholic Church on August 23, 1947 to Clayton C. Englebretson. Over the years, she worked several jobs in Loyal, including, Colby's Super Market, Neuman's Supper Club, the Loyal Bakery, in the deli at the IGA store, and later at Weyerhaeuser in Marshfield. In 1972, they purchased the Spokeville Elevator which they operated until 1989. Her husband, Clayton, passed away on November 27, 1993. Katie resided in Loyal until entering Three Oaks nursing facility in the fall of 2006. She had many interests, but especially loved taking care of her grandchildren, spending time with her family and friends, sewing, knitting, baking, and cooking. Katie was a lifetime member of St. Anthony Catholic Church and its PCCW, the Clark County Homemakers and the Loyal American Legion Auxiliary. She is survived by her children: Kris (Bob) Schultz of Loyal, Yvette (Jesse) Zvolena of Loyal, Tim (Kathy) of Stratford, Connie (Tom) Heersma of Rozelleville, Pat (Carmen) of Loyal, Eric (Joyce) of Loyal, Paul of Thorp; 19 grandchildren; 26 great-grandchildren; nieces, nephews, other relatives and friends. Katie was preceded in death by her parents; her husband, Clayton; one sister, Beverly Bethke, and one brother, Duane Tucker, in infancy.